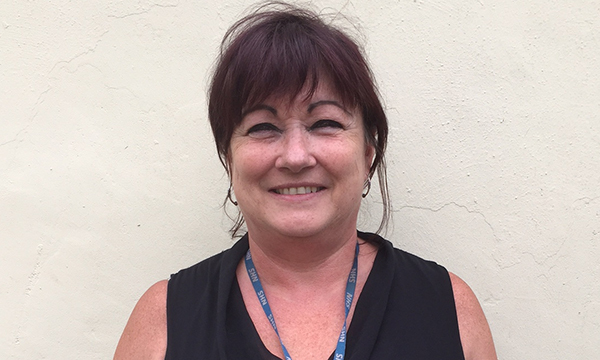 When Martin Bailey's mother Janet was diagnosed with motor neurone disease, it was advanced nurse practitioner Kym Troman who provided essential support to help the family cope. Advanced nurse practitioner Kym Troman. When my mum Janet Bailey was diagnosed with motor neurone disease we were lucky to be under the care of advanced nurse practitioner Kym Troman. The diagnosis of this cruel disease came as a shock. My mum didn’t seem to take it in, but I did and it hit hard. When we met Kym she was friendly and caring from the outset, but at this point mum still wasn’t taking it all in. Kym really got through to her and made her realise the seriousness of the illness. who helped the family cope. She hugged my mum when the news finally hit and then Kym sat on the floor right by my mum’s chair and held her hand for the rest of the time she was there. She made us feel like my mum was the only person she had to care for. The main thing I remember about Kym was her fight to get the things my mum needed on time. I overheard her on the phone many times trying to get something done for my mum and making sure she did. On the day that my mum died Kym came round and sat with me and my wife and waited till the undertaker came to take my mum. She held my hand, hugged me and my wife and made sure we were okay. I can say this has been the worst time in my life, but Kym made it as easy as possible for me and my family, and most of all my mum. I will never be able to repay her for what she did, but I'm so glad people will get to hear about her.